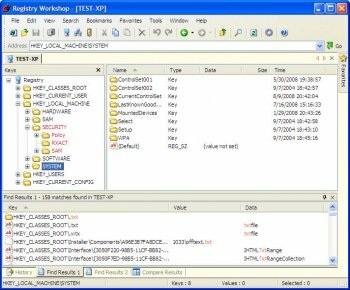 Registry Workshop is an advanced registry editor. It is a perfect replacement for RegEdit and RegEdt32 which shipped with Windows. In addition to all the features that you can find in RegEdit and RegEdt32, this offers many power features to enhance registry editing. You can cut, copy and paste registry keys and values. You can undo and redo modifications. You can search and replace registry keys, values and data quickly and easily. 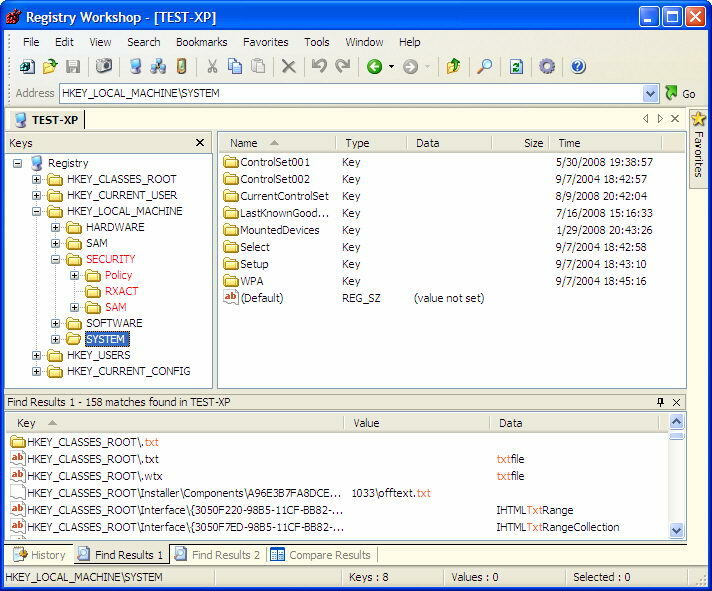 It allows edit registry files in the same way as editing system registry. It also offers easy and flexible functions to manage Favorites. Registry Workshop is easily the BEST registry editor by far. With Firefox and Total Commander, the three most used applications here. Fast and helpful, wouldn't choose any alternative. Love it. Old screenshot actually, it has a purdy new toolbar. I'm also puzzled @ the rating. This is 5 star software. I agree that the price is waaay too high. It should priced around $15 for affordability, but it's the top of its class! well this keep getting better! I'm confounded by the relatively low rating on this software too. I think it was some haters that didn't get their hands held long enough by the developer. Nevertheless this is outstanding software. Essential and utterly efficient in every way. If you are a power user, you need this in your toolbox. Only gripe is one that I have against all small, specialized utilities: if the OS costs $200 no single-use utility should cost for more than 10% of the OS price. You're just asking for pirates to pick it apart at $30.00. This is a great piece of software. To the other reviewer: You cannot put too much weight on the rating any given software title gets on this site or any other. There are idiots galore who highly rate a stripped-down piece of freeware, or who rate down a great piece of shareware just because it's not free. Best registry editor there is. HANDS DOWN the best registry editor ever written. I can't believe this got a 3.5 Rating on here. Power users unit! This prog is fast, powerful, effiicent, and portable to boot! I have used Registry Workshop for years, and have found it to be the best of its kind. Support is good, and bugs are fixed quickly. A wonderful utility, worth every cent.